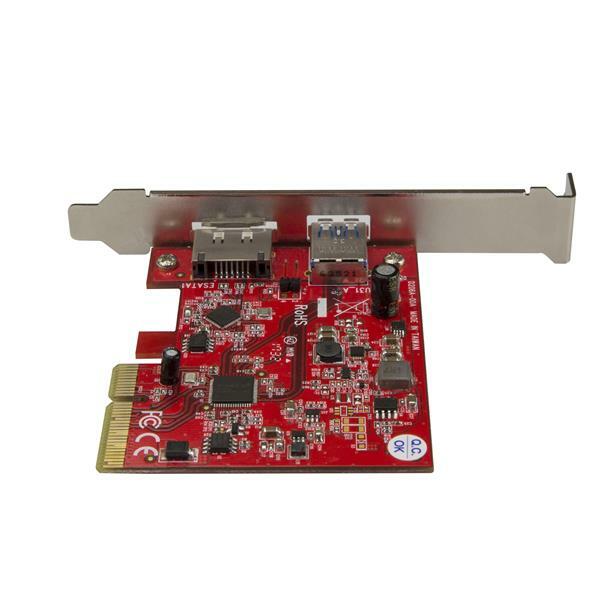 This combination PCI Express controller card lets you add both a USB 3.1 Gen 2 port and an eSATA port to your desktop PC, through a single PCIe slot. The versatile controller card offers a cost-effective way to add high-performance connectivity to your computer, with support for newer USB 3.1 devices as well as eSATA hard drives. 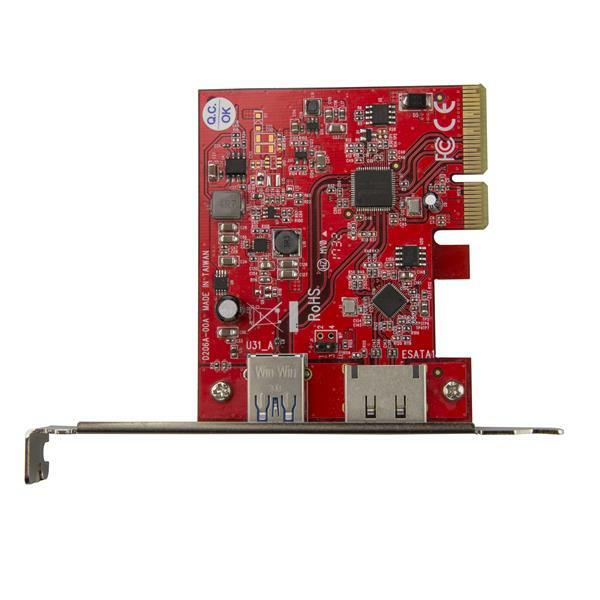 At up to 10Gbps, the USB 3.1 PCIe card delivers the speed you need for seamless performance from your compatible devices. 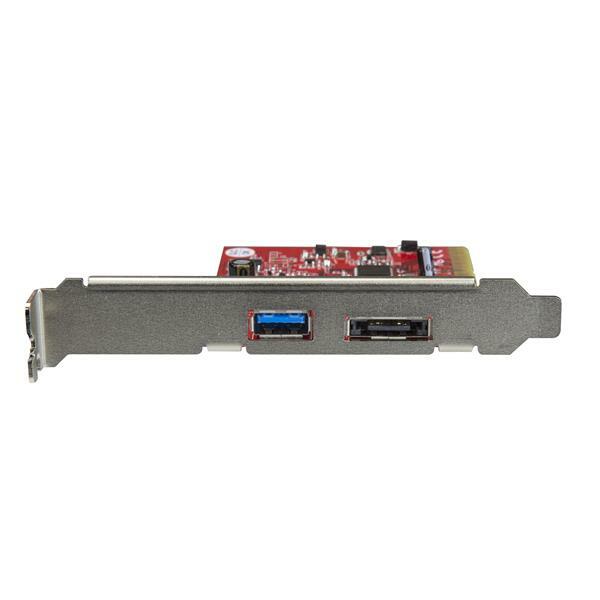 It’s also backward compatible with previous versions of USB, so you can connect your existing USB 3.0 / 2.0 / 1.1 equipment. 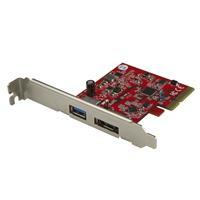 The PEXUSB311A1E is backed by a StarTech.com 2-year warranty and free lifetime technical support.